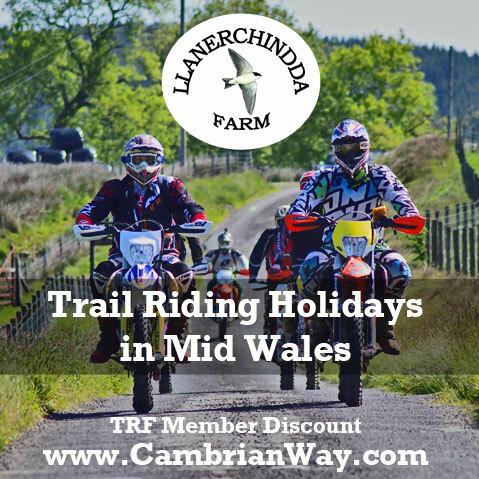 Imagine a location that is home to several hundred miles of quality green roads, where visitors have access to a wide variety of terrain in some of the most unique setting that the British countryside has to offer. A fantastic landscape catering for anyone looking to take their vehicles far from tarmac roads. Imagine riding over a hill and coming face to face with a British Army Challenger Tank. Salisbury Plain is unique in it’s location and MOD use. Both a military training ground and Site of Special Scientific Interest, the Plain is home to a fantastic network of Green Roads. 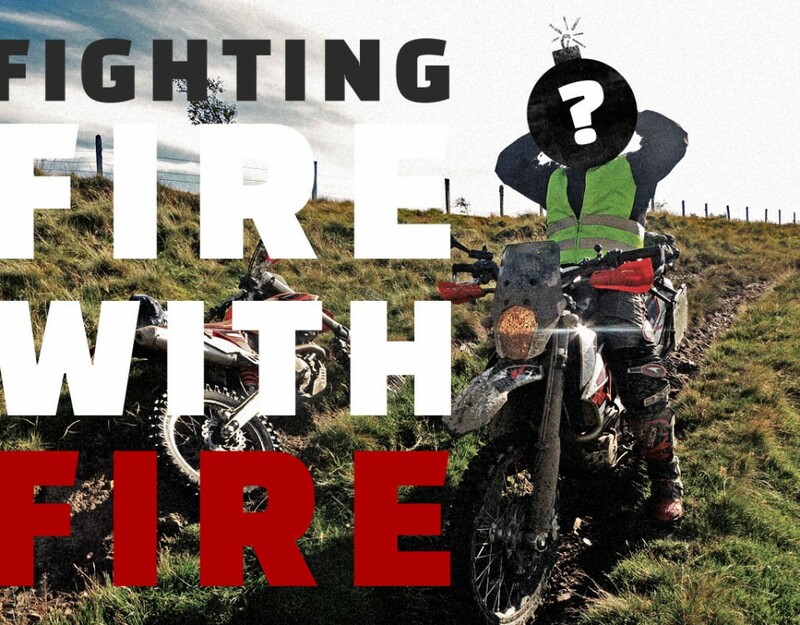 Increasingly however the ability to access this resource is under threat from those who are unable to operate within the guidelines set out to protect both the landscape and the safety of visitors. 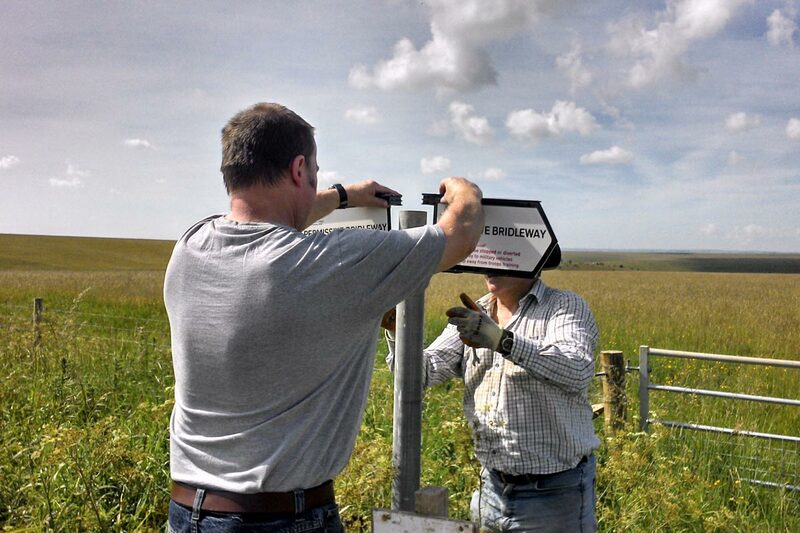 The MOD’s James Nevitt took time to explain the challenges of managing access to Salisbury Plain, how users can help its conservation and why unexploded ammunition mean you really shouldn’t stray from the signposted byways. Hi James, thanks for taking time to talk to the TRF today. Perhaps we could start with a bit about yourself and your position in managing public access to Salisbury Plain? Sure. I’m based on Salisbury Plain, where I work for the Ministry of Defence's (MOD) Defence Infrastructure Organisation. 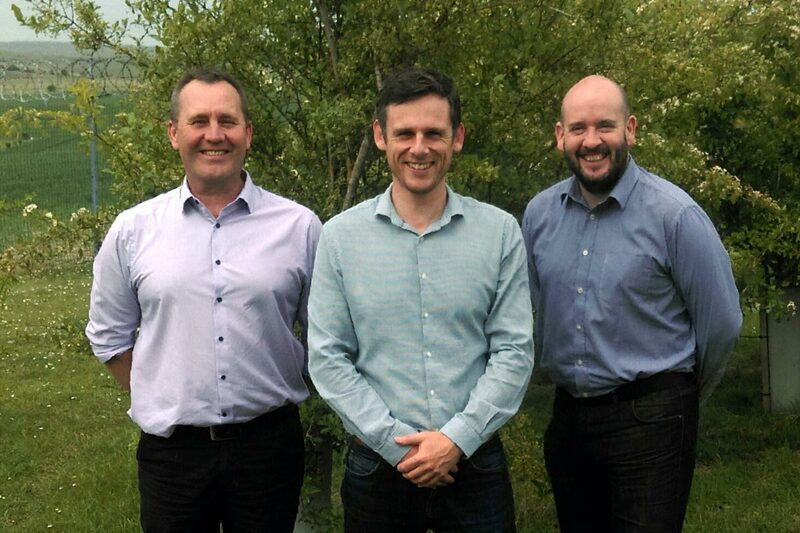 I sit within the Environmental Support and Compliance Team, managing the Access and Recreation Advisory Team (ART) alongside, amongst others, Ecologists, Archaeologists and Foresters. As a small team of three ART covers the UK MOD estate, supporting provision of a safe place to train and in turn ensuring we fulfil the MOD policy presumption in favour of public access where it is compatible with operational and military requirements, public safety, security, conservation and the interests of tenants. We advise in areas such as public rights of way law, access management techniques and interpretation and information production. Salisbury Plain Training Area (SPTA) is but one site among many although as you will appreciate, due to its size and importance, it does receive a lot of attention. 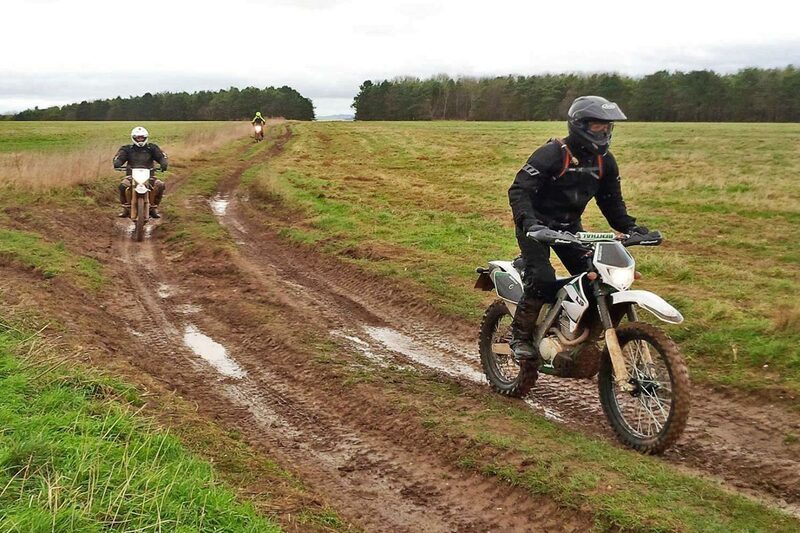 Salisbury Plain is quite a unique environment and a popular destination for those wanting to ride ‘off tarmac’. For the benefit of people who haven’t yet visited, please could you describe the Plain, its history, and purpose? SPTA is a very unique environment. The military have been here since the late 1880s and, at over 94,000 acres – that’s about the size of the Isle of Wight – it is the UK's largest training area. It is the breadth of training available that makes it important; live firing, armoured manoeuvres, training in built-up areas and the opportunity to use airspace both day and night; and this list is by no means definitive. Many of these types of military operations cannot be properly practised anywhere else in the country. Remarkably the use of SPTA as a military training area has helped preserve a world renowned archaeological landscape dating back some 6000 years. More and more archaeological finds are being unearthed all the time. 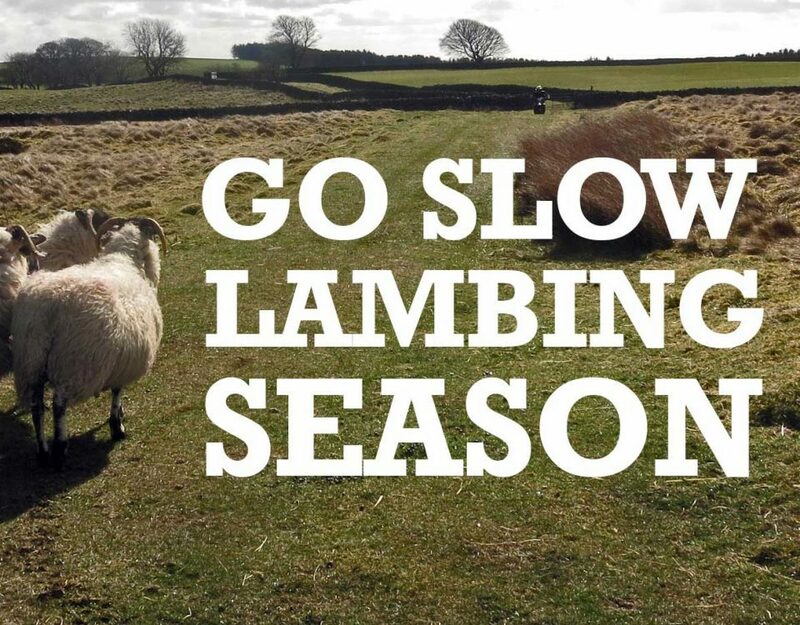 As well as the social history, over 50% of the Plain is a Site of Special Scientific Interest (SSSI), acting as a home to rare species of flora and fauna lost in other parts of the country. A visit to SPTA can cater for all wildlife interests. Given the layers of designation it's remarkable we can do anything here at all! As I’ve illustrated, SPTA is an essential environment for all manner of military training and it is used extensively. The legacy of a century’s use makes for a dangerous environment. It is estimated that across Larkhill Range Danger Area there are at least 250,000 items of unexploded ordnance. Given the millions of rounds that have been fired into the range, this is a conservative estimate. Just because something has sat unnoticed in a bush for decades does not make it safe and it may still pose a risk to inquisitive fingers. As well as the historic risk, there is also the day to day risk of live training. 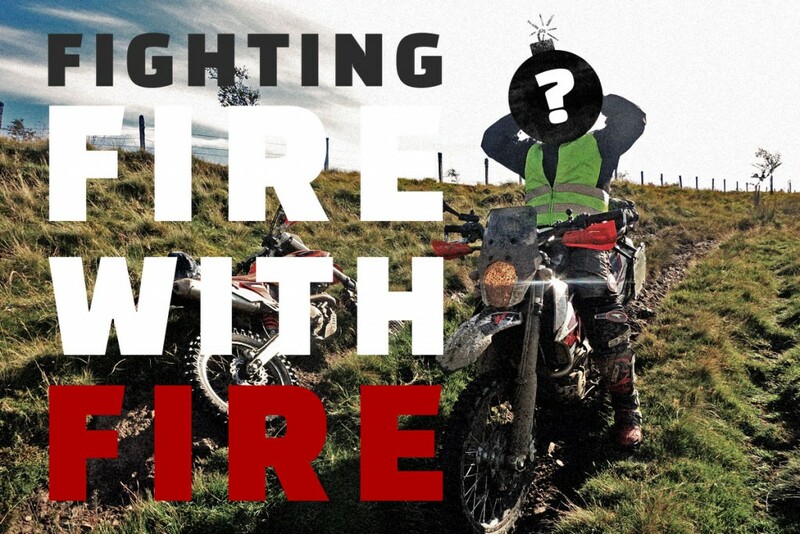 Public who choose to disobey or ignore warning signs across the Plain place themselves at risk from fast moving vehicles with very limited visibility, they risk disrupting training or at its most extreme, injury or death from live firing. 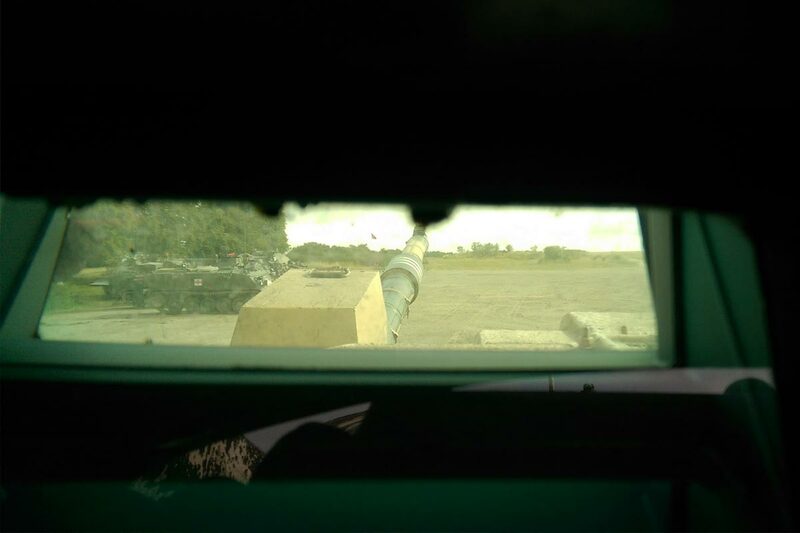 Visibility from a Challenger tank is pretty limited! Training is undertaken following strict limitations due to wet weather conditions, relative to environmental designations. Ignorance of what vehicles, particularly large numbers of vehicles, can do to sensitive environments, especially when weather conditions are bad, will widen the extent of environmental damage. This may be interpreted as environmental neglect, which could limit or prevent training being undertaken. As mentioned, there are aspects of training carried out on SPTA that cannot be carried out anywhere else in the country, so this would be hugely prohibitive to fulfilling training requirements. It’s also important to remember that SPTA is enjoyed by countless people in a wide manner of ways. 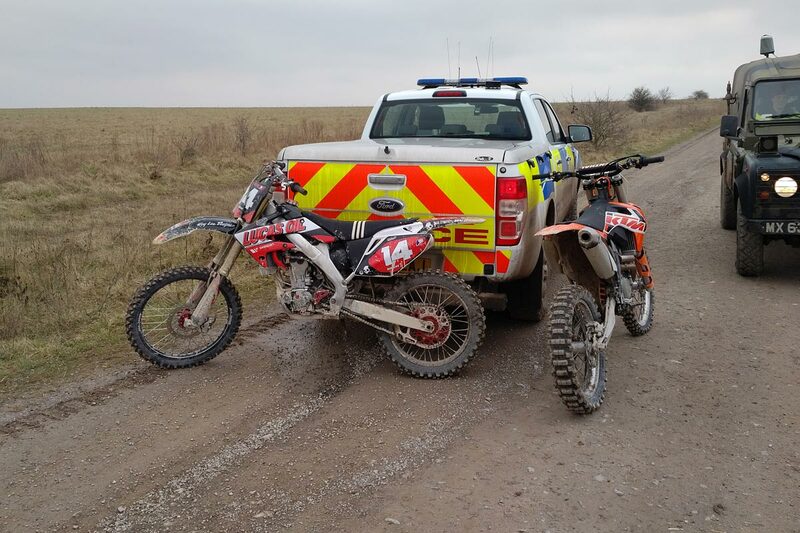 As well as posing a risk to MOD staff, those who choose to take vehicles into areas that are not permitted place other members of the public at risk or damage the environment to the detriment of other users. 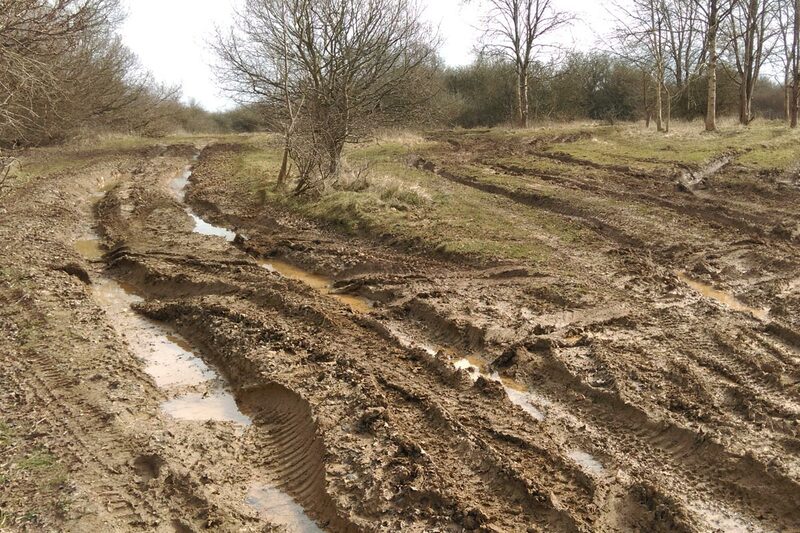 If these problems continue, what do you think the future holds for public access to Salisbury Plain? Due to continuing vehicular misuse of SPTA Senior Training Safety Officer Lt Col Andrews is working to increase the number of police led exercises to try and catch, educate and deter. 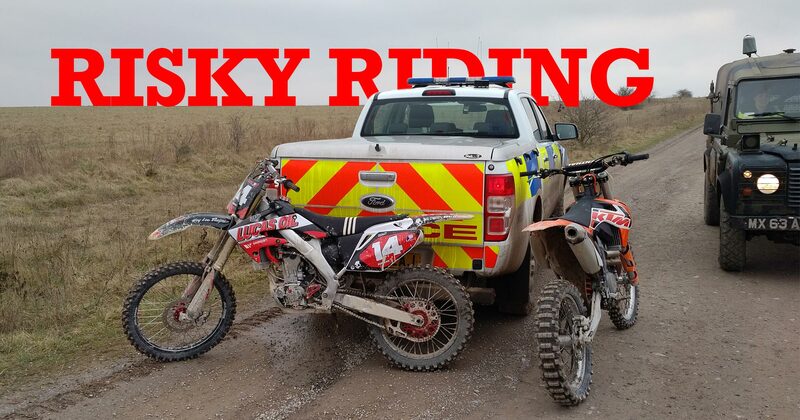 During the most recent events over 30 drivers were issued written warnings for bylaw offences, over 30 drivers have been issued police warnings for driving offences and two moto-cross bikes and one quad have been seized for not being road legal. The owners will face a £150 fine and 3 points on their licence. Stick to the defined way on a road legal bike. No problems! 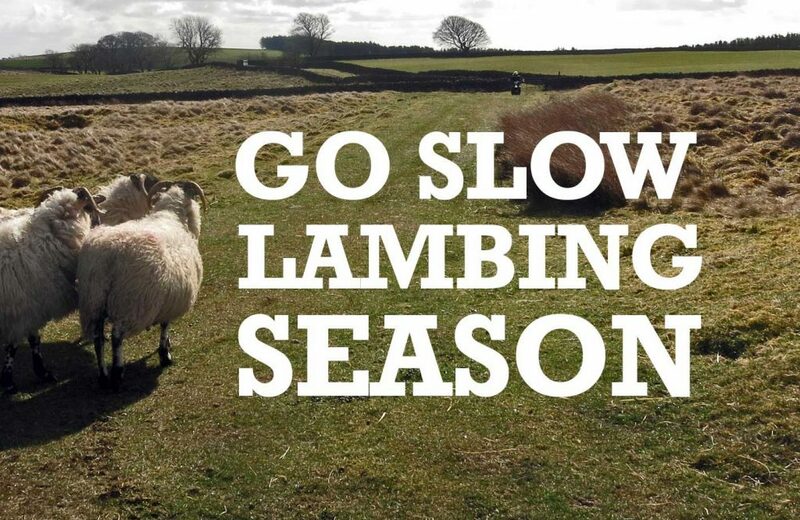 Currently the MOD is appreciative of the support given by the TRF and other national bodies, such as GLASS (Green Lane Association) which has endorsed our SPTA Greenlaning Good Practice Guide. Consequently it is unfortunate that the actions of an ignorant minority are increasingly likely to dirty the reputation of motor enthusiasts collectively. The mindless devastation caused to some of the Plains sensitive ecological areas and the wider impacts on other users means that opportunities for partnership working will be exceptionally difficult or overlooked and access to permissive routes will be reduced. Does this mean that recreational vehicles are not welcome on Salisbury Plain? Fundamentally it's about achieving the right balance of use across SPTA. The MOD will continue to be custodians of this important environment for many years to come and so it is essential we continue to manage the balance between the priority military use, protecting the environment, looking after our tenants and providing managed public access where it is rational to do so. We fully recognise that there are a large number of legal users who stick to public rights of way and permissive tracks, pay due regard to the bylaws and SPTA Good Practice Guide and who work with us in trying to maintain a safe place to train. Given the presence of numerous public byways, access for legal, road worthy motor vehicles will never be precluded. 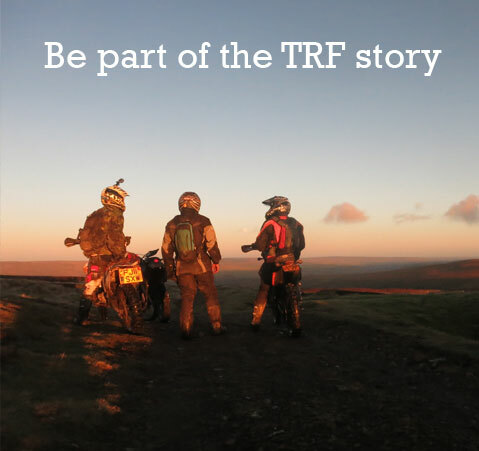 The MOD are very appreciative of the support that TRF have given in promoting and endorsing legal, appropriate use and good practice and I hope that we will continue to work together to educate and deter those who do not. 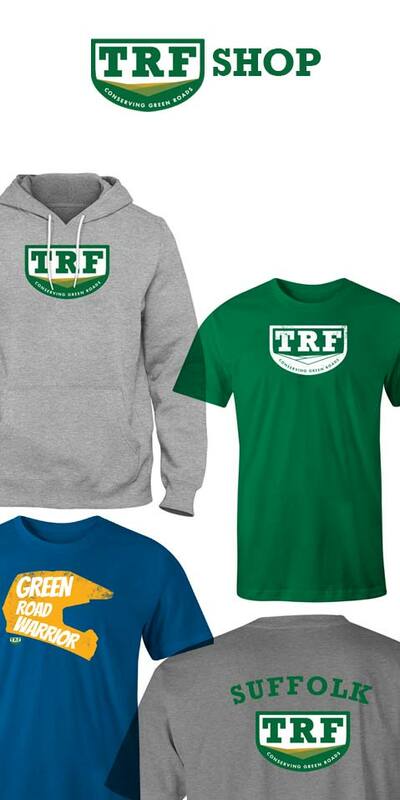 The TRF is proud to work with partner organisations to conserve green roads. 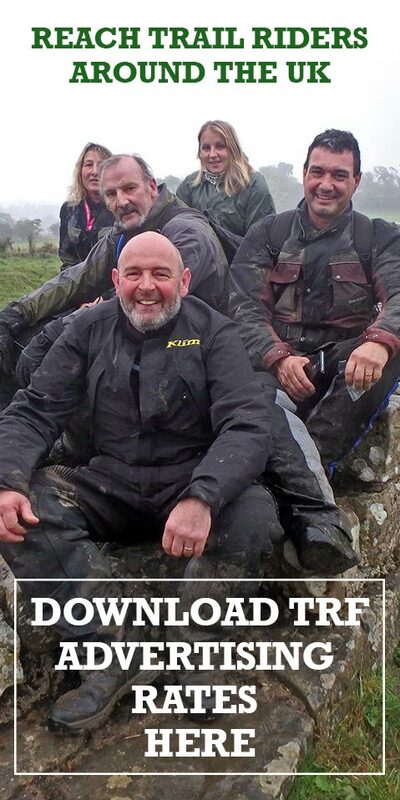 More information about riding on Salisbury Plain and the SPTA Good Practice Guide can be found here.